#3 King Drive bus is the most common bus route to the Wintrust Arena, running north/south along Michigan Avenue. The #3 stop is at Michigan Avenue and Cermak Road. It serves many downtown hotels, as well as the Magnificent Mile and Water Tower Place. 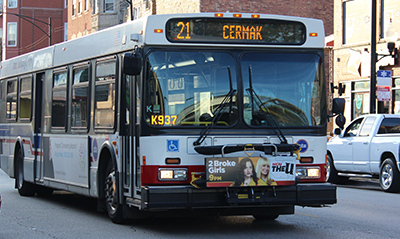 #21 Cermak Road bus runs East/West along Cermak Road. The #21 stop is at Michigan Avenue and Cermak Road. #4 Cottage Grove bus runs North/South along Michigan Avenue, two blocks west of the Wintrust Arena. The #4 stop is at Michigan Avenue and Cermak Road. Payment for these transportation options is via Cash or Ventra Card. A Ventra Transit Card may be purchased at any of the train or elevated stations, and must be used to pay elevated train fares. You may also download the Ventra App through your favorite App Store. If using cash on buses you must have the exact fare. Chicago Transit Authority (CTA) Elevated Rail System - "L"
The CTA Cermak-McCormick Place Green Line Station (Chicago, IL) station is located at Cermak Road and State Street, 2.5 blocks (0.15 mile) west of the Wintrust Arena at Cermak Road and Indiana Ave. 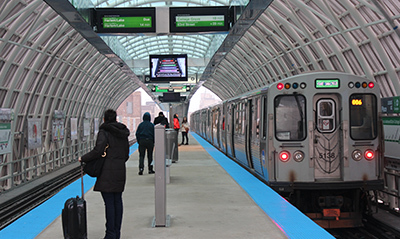 The CTA Cermak-Chinatown Red Line Station (Chicago, IL) is located four blocks west (0.5 mile) of the Wintrust Arena and two blocks west of the Cermak-McCormick Place Green Line Station. 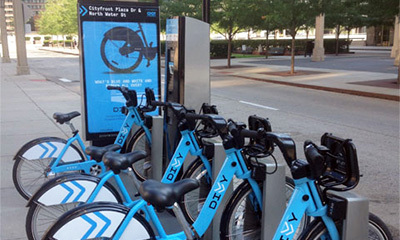 Payment for these transportation options is via Cash or Ventra Card. A Ventra Transit Card may be purchased at any of the train or elevated stations, and must be used to pay elevated train fares. You may also download the Ventra App through your favorite App Store. 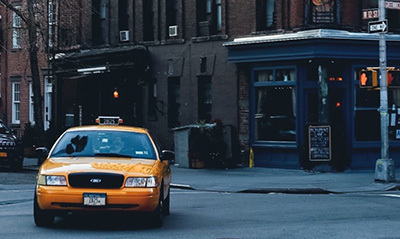 “CHICABS” offers options for taxicab passengers to electronically hail (E-Hail) a taxicab through a mobile app. CHICABS approved apps also let passengers electronically pay (E-Pay) for the taxicab fare through the app. Download “Curb” from your favorite App Store. Click “Arro” for the Arro App site. “Lyft” and “Uber” are licensed TNP companies with the City of Chicago. Download their application(s) from your favorite App Store.